Business and economics students excel during the DECA state competition in February. DECA is an international competition, both on the high school and collegiate levels, related to five separate fields in the business world: Business Management and Administration, Marketing and Communications, Finance and Accounting, Hospitality and Tourism, and Entrepreneurship. Students compete in specific events in different ways, whether that be giving a presentation or collaborating with one’s peers. They are judged accordingly and receive feedback as well as an opportunity to interact with those already established in the related field. Last year, three Bethel students participated in the state competition, with one student moving on to the international competition. 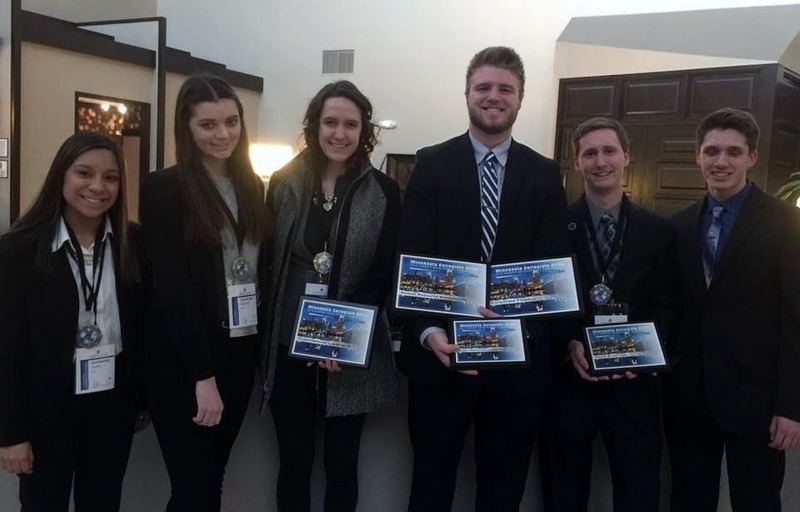 This year, seven business and economics students competed against 300 students across 12 schools in the State Conference, and now five will attend the International Career Development Conference (ICDC) in Washington, D.C., on April 10-15. Among those five is Danielle Rosen ’18, who received second place in the Organizational Leadership category. She’s completing her Leadership minor this spring and was eager for the experience along with the opportunity to meet professionals in the field. Kaiser also emphasizes the possibility of connection through this competition. 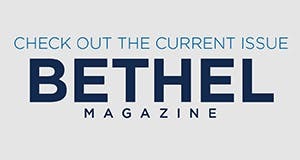 “In addition to competition, [ICDC] also includes networking on an international level, opportunities for professional development through topic-related academies, and the opportunity to connect with potential employers and sponsoring businesses,” Kaiser says. She is proud of her students and wants to give them the resources to achieve their career goals.